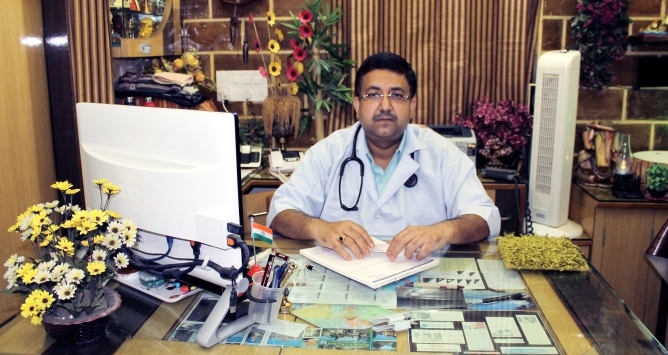 Dr. Amitesh Kumar Chatterjee runs his private clinic ‘Euglycemia’,situated in Jalpaiguri, West Bengal. 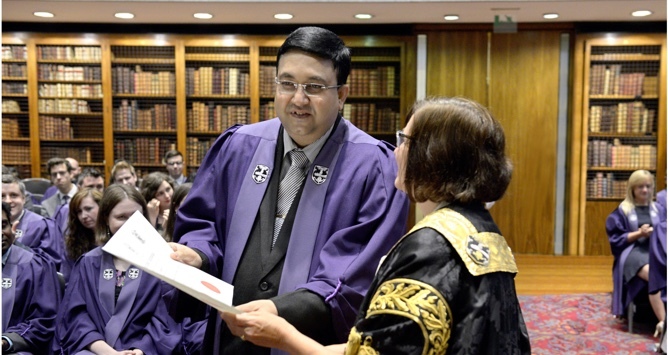 Dr. Chatterjee has added on numerous educational achievements to his MBBS qualification. He stood First in First Class in Chemistry (Hons) and a recipient of University Medal. 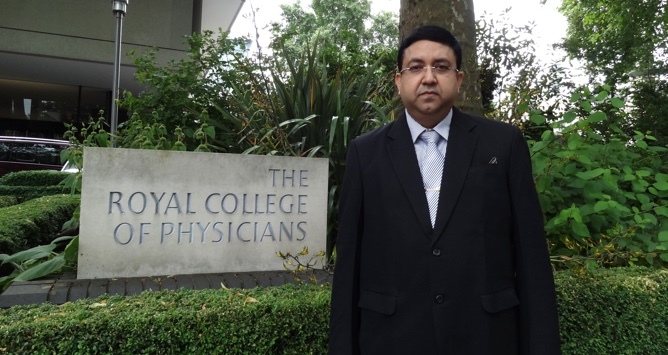 He did his MBBS from Calcutta National Medical College, Kolkata.He passed MRCP (UK) and susequently received MRCPE(Edinburgh), MRCPS (Glasgow) and MRCP (London) accreditations from respective Royal College of Physicians of UK. He has acquired extensive overseas training in diabetes from reputed medical institutions of Australia and Germany (BadHarzburg,Rheine & Osnabruck). In addition, he has undertaken PG training in Diabetes Management from Harvard Medical School (Boston,USA) and an Advanced course in Diabetes Foot Care conducted by World Diabetes Foundation-International Diabetes Foundation and DFSI. Currently he is also a Member of AACE (American association of Clinical Endocrinology). Backed by more than 15 years of Clinical experience, Dr. Chatterjee competently manages patients afflicted with various types of Diabetes, Obesity and Metabolic Disorders. Dr. Chatterjee leads his crusade against Diabetes by laying special emphasis on prevention of disease. His constant endeavour has therefore been to educate the masses and create awareness concerning Obesity, Diabetes and other Life-style related disorders. Available from Monday to Saturday, Dr. Chatterjee’s clinic timings are 9 am to 12 noon in the morning hours. One may consult him on these specified days and timings. Involved in EDGE study conducted across 27 countries on 45,868 patients worldwide in 2010. Post graduate course in Diabetology (American Diabetes Association- MDRF). Introduction to Diabetes Care (University of New Castle, Australia). Advanced course in Diabetes Foot Care (WDF-IDF-DFSI). Certificate course in Diabetes Management (Harvard Medical School, Boston, USA). Fellow of the College of Chest Physicians (FCCP). Member, Royal Colleges of Physicians of the United Kingdom - MRCP (UK). Member, Royal College of Physicians of Edinburgh (MRCPE). Member, Royal College of Physicians and Surgeons of Glasgow (MRCPS). Member, Royal College of Physicians of London - MRCP (London). University Medallist in Bsc (Hons). © 2018, Dr. Amitesh Kumar Chatterjee.